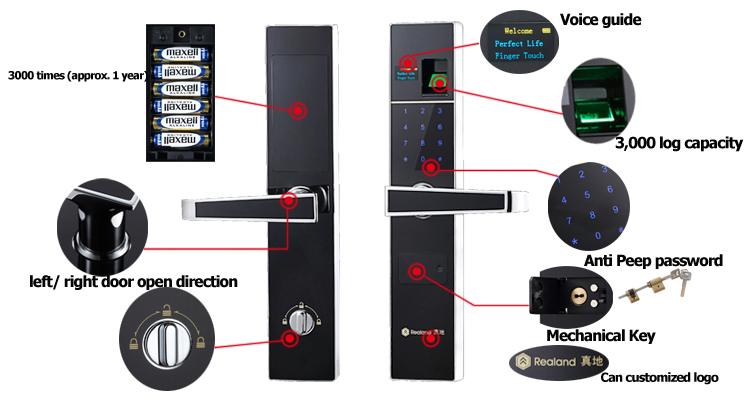 F2 is with LCD Indication and Voice guide for easier and more convenient use. 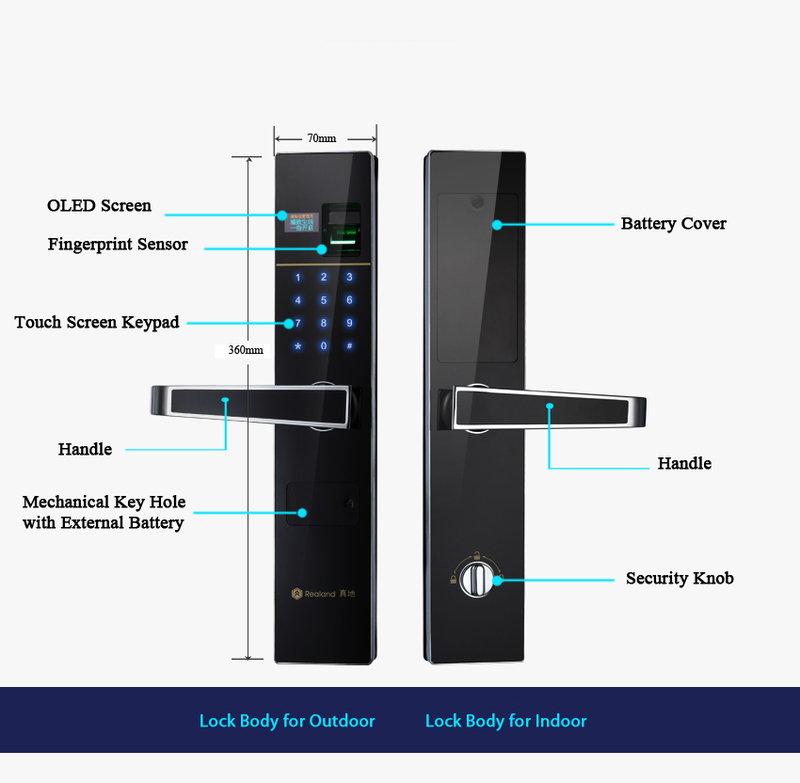 It uses international standard Zinc Alloy lock case, and fashion touch sreen keypad with anti-peeping password function. Reversible design to fit for left/ right door open direction, making the installtion easy and simple. Security knob on the lock inside door, availabe to lock from both sides.